Flu is a common infectious illness spread by coughs and sneezes. It can be very unpleasant, but you’ll usually begin to feel better within about a week. 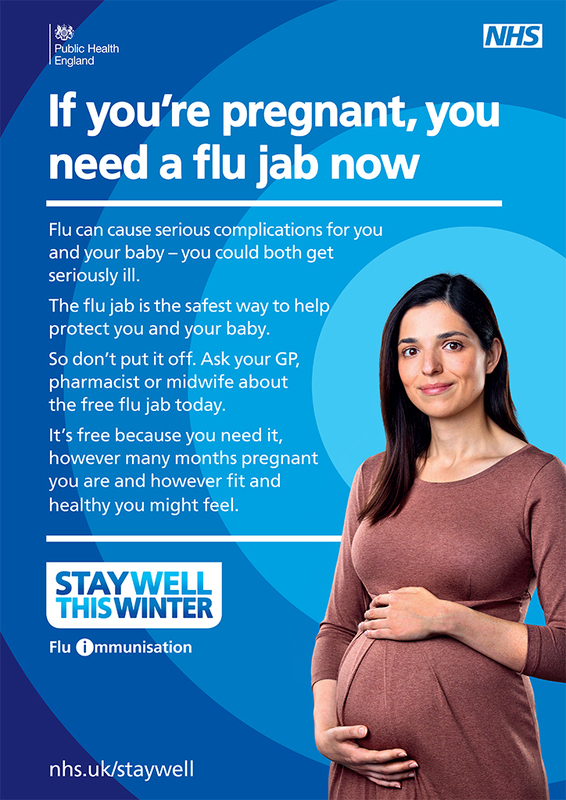 However for young children, people aged over 65, people with long-term health conditions and pregnant women flu can be far more serious. It can lead to serious health complications including bronchitis, pneumonia and ear infections. That’s why all children in reception class and school years one, two, three and four will be offered a free nasal flu vaccine at school. 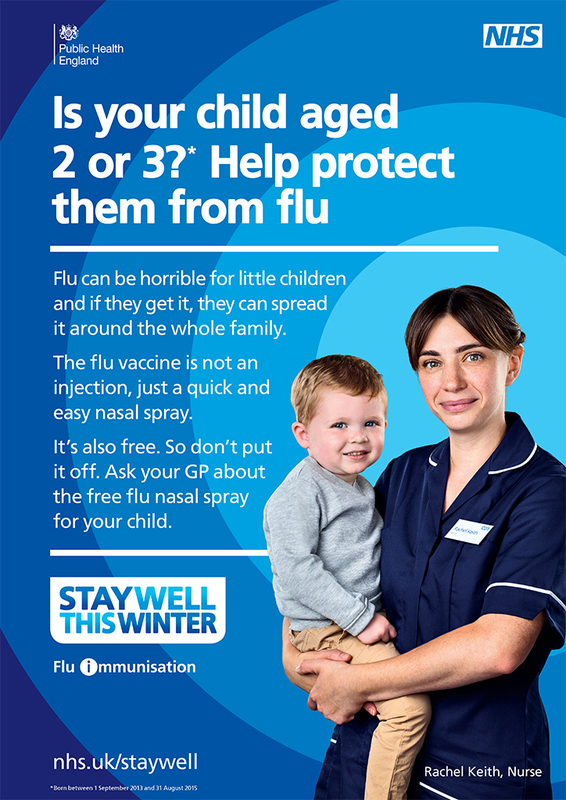 Younger children aged two and three, older people and pregnant women can receive their free vaccination at their GP’s surgery. 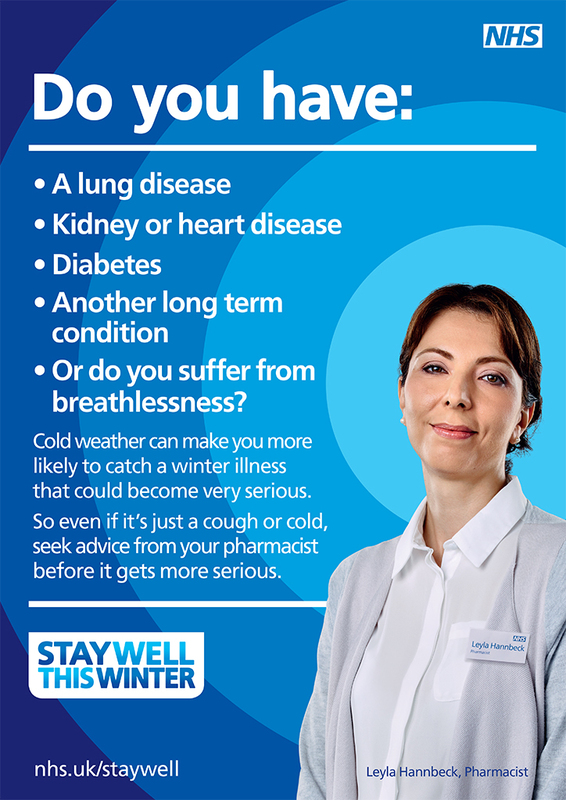 Keep you and your family healthy and well this winter by making sure they get their flu vaccination. To find out more visit NHS Choices here.